It all began centuries ago when only the finest pizzas were baked in a brick oven, on a terra cotta stone. Today we combine century old Italian tradition with new world technology to create the world’s finest, fresh fire roasted gourmet pizzas. 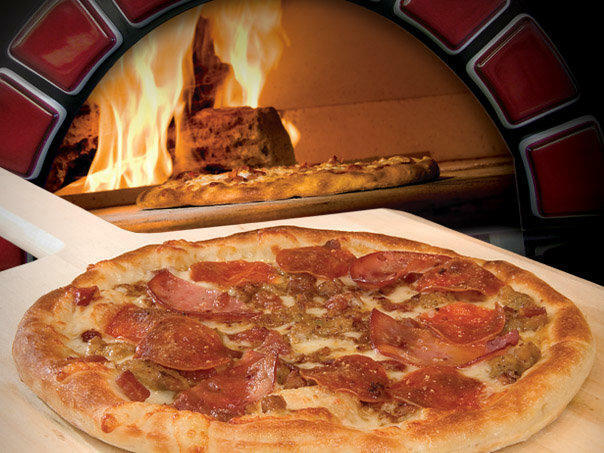 Our RedBrick oven sears your pizza at more than 1000º in just 3 minutes* directly on our “RedBrick” stone. The result is a delicate golden crust, delicious thin crisp center with fascinating flavors that are healthier and better for you. We use only Qualita Superiore cheeses, premium gourmet ingredients, and hand crafted dough made fresh daily with heart healthy olive oil.